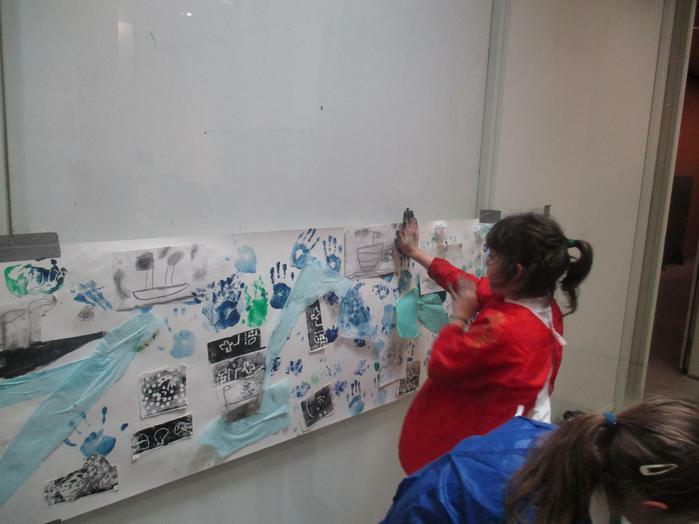 The Year 1 children had a lovely day at the SCVA. Their learning was based on their class topic which was 'Land Ahoy'. The children enjoyed sketching pictures during their tour around the gallery. The workshop they took part in was great. They made a fabulous picture of the sea by using plasticine to make moulds with shells, then layering it with ink to print on the paper and also drawing boats.